To receive a prize or promotional offer you will need to register as a valid member of lanesplittergarage.com. lanesplittergarage.com reserves the right to restrict the free offer promotion and any other promotions to one instance per household. We reserve the right not to offer, refuse, or cancel a free trial or promotional offer. These offers are limited to one per person, one per household and cannot be combined with any other offer. This license shall automatically terminate if you violate any of these restrictions and may be terminated by Lanesplitter Garage at any time. Upon terminating your viewing of these materials or upon the termination of this license, you must destroy any downloaded materials in your possession whether in electronic or printed format. The materials on Lanesplitter Garage's web site are provided "as is". Lanesplitter Garage makes no warranties, expressed or implied, and hereby disclaims and negates all other warranties, including without limitation, implied warranties or conditions of merchantability, fitness for a particular purpose, or non-infringement of intellectual property or other violation of rights. Further, Lanesplitter Garage does not warrant or make any representations concerning the accuracy, likely results, or reliability of the use of the materials on its Internet web site or otherwise relating to such materials or on any sites linked to this site. In no event shall Lanesplitter Garage or its suppliers be liable for any damages (including, without limitation, damages for loss of data or profit, or due to business interruption,) arising out of the use or inability to use the materials on Lanesplitter Garage's Internet site, even if Lanesplitter Garage or a Lanesplitter Garage authorized representative has been notified orally or in writing of the possibility of such damage. Because some jurisdictions do not allow limitations on implied warranties, or limitations of liability for consequential or incidental damages, these limitations may not apply to you. The materials appearing on Lanesplitter Garage's web site could include technical, typographical, or photographic errors. Lanesplitter Garage does not warrant that any of the materials on its web site are accurate, complete, or current. Lanesplitter Garage may make changes to the materials contained on its web site at any time without notice. Lanesplitter Garage does not, however, make any commitment to update the materials. Lanesplitter Garage has not reviewed all of the sites linked to its Internet web site and is not responsible for the contents of any such linked site. 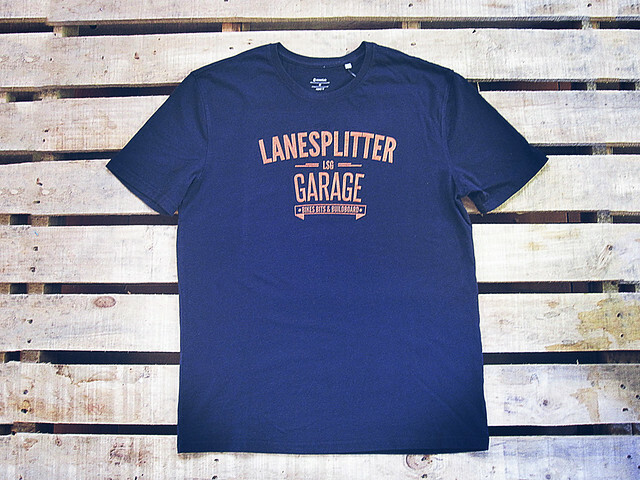 The inclusion of any link does not imply endorsement by Lanesplitter Garage of the site. Use of any such linked web site is at the user's own risk. Any claim relating to Lanesplitter Garage's web site shall be governed by the laws of the State of Queensland without regard to its conflict of law provisions. All content including, images, and other files ("Customer Data") uploaded to Buildboard Project by Customer or on behalf of Customer shall be and remain the exclusive property of Customer. Company shall not: (a) have, acquire or assert any ownership or other proprietary right in any Customer Data; (b) use, copy or make any derivative works from, or permit any other person to use, copy or make any derivative works from, any Customer Data, except as (i) reasonably required in connection with the Services, (ii) as otherwise expressly agreed to in writing by Customer or (iii) such that is already or becomes publicly available; or (c) sell, disclose, transfer, assign, lease or otherwise commercially exploit or dispose of or grant access to any Customer Data. Company will maintain reasonable security arrangements to prevent unauthorized access, collection, use, disclosure, copying, modification or disposal of Customer Data. On the expiry or termination of a Customer account within 30 days, Lanesplitter Garage shall destroy all copies of Customer Data on its systems. The utilization of any data or information received by Customer from the utilization of the service to be provided by Lanesplitter Garage is at Customer's sole and absolute risk. Lanesplitter Garage specifically disclaims and denies any responsibility for the completeness, accuracy or quality of information obtained through the services to be provided hereby. Lanesplitter Garage is the sole owner of the information collected on this site. We will not sell, share, or rent this information to others in ways different from what is disclosed in this statement. Lanesplitter Garage may collect information from our customers at several different points on our website, as needed to service our customers, as outlined below. There are a couple types of cookies related to the web browsing experience. Neither cookie type contains any personally identifiable information. A temporary cookie, technically known as a Session Cookie, is one that your browser sets by default to communicate your browsing experience between you and the server. This session cookie is automatically destroyed in your browser when you close the web browsing session on the Lanesplitter Garage site. Lanesplitter Garage in general does not utilize the use of persistent cookies for the site to function properly. However, these cookies can help us provide a more tailored experience for Customer based on the type of product Customer has expressed interest in and in the way a customer chooses to utilize the services. The types of persistent cookies Lanesplitter Garage utilizes is for tracking how and when you initially found Lanesplitter Garage including what page you first landed on. For added control by customer related to the various control panels utilized, utilizing cookies, customers have options for helping with login conveniences and customization of their dashboard. We request information from the user on our order form(s). In order for us to service Customer account, here a user must provide contact information (email, name, address, phone). If we have trouble processing an order, this contact information is used to get in touch with the user. We use a high encryption SSL certificate for securely gathering the requested information. Credit/Payment Card Processors - Lanesplitter Garage uses a credit/payment card processing company (just like every business that accepts credit cards has to) to bill users for goods and services. Lanesplitter Garage only passes the required information to the credit card company which includes the name, card number, expiration date and billing zip code. Lanesplitter Garage does NOT forward any personally identifiable information to these card processing companies. Lanesplitter Garage will comply with State and Federal law and therefore comply with lawful request (ie, court orders, subpoenas, etc.). When allowed, Lanesplitter Garage will notify customer of such request. This website takes every precaution to protect our visitors' information. When visitors submit sensitive information via the website, the information is protected both online and off-line. When our order form(s) asks visitors to enter sensitive information, that information is encrypted and is protected with the best encryption software in the industry - SSL. While on a secure page, such as our order form(s), the lock icon in the Web browser becomes locked. Lanesplitter Garage has taken additional steps to ensure SSL encryption is used at all times when browsing our site. While we use SSL encryption to protect sensitive information online, we also do everything in our power to protect user-information off-line. Only employees who need the information to perform a specific job (for example, our billing clerk or a customer service representative) are granted access to personally identifiable information. ALL employees are kept up-to-date on our security and privacy practices. Any time new policies are added, our employees are notified and/or reminded about the importance we place on privacy, and what they can do to ensure our customers' information is protected. Finally, the servers that we store personally identifiable information on are kept in a secure environment. Lanesplitter Garage's website and services are not intended for, nor designed to attract, individuals under the age of 18. Lanesplitter Garage does not knowingly collect personally identifiable information from any person under the age of 18. If a user's personally identifiable information changes (such as your phone number or email address), or if a user no longer desires our service, we will endeavor to provide a way to correct, update or remove that user's personal data provided to us. (4) Customer will ensure that it has all necessary and appropriate consents and notices in place to enable lawful transmission of Personal Data to Company and its processing in accordance with this Agreement for the duration and purposes of this Agreement. (k) paying Company's costs using the then current standard time rates of Company for assisting with the provision of information and allowing for and contributing to inspections and audits. (6) Company shall nominate a point of contact for all issues related to data privacy and protection within the scope of the Agreement and pending notification; otherwise this will be the CEO/Managing Director. This section is covered and governed by the LIMITATION OF LIABILITY section of the TOS Agreement.